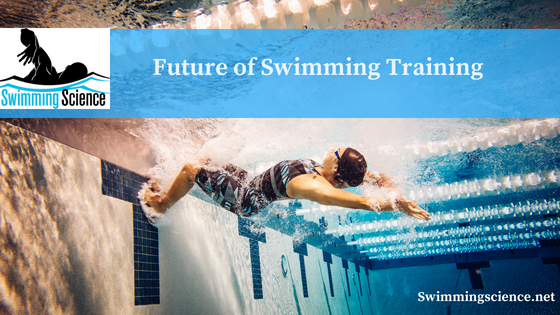 Smart technology is on the verge of dramatically enhancing swimming performance, be ready for the revolution. Swimming is one of the most biomechanically difficult sports. Unlike other sports, swimming works against water while in a horizontal position. The unfamiliar horizontal position makes all stroke corrections more difficult. Water also creates resistance during any motion, making improvements harder! This motion creates drag impeding performance to a greater degree than air resistance. This makes receiving feedback difficult. In fact, Stefan Szczepan beautifully described his work and the role of immediate feedback in swimming. We reviewed Szczean and Zatoń (2014) research in the latest Swimming Science Research Review. Zatoń (2014) split sixty-four male swimmers into a control and an experimental group. The experiment consisted of 4 freestyle swimming trials of 25 meters. The first two trials were pretest and the third and fourth trials were the experimental trials. In the experimental trials, the swimmers were instructed to “reach out further”. There was a significant improvement in stroke length, stroke rate, and swimming velocity. Overall, there is a lack of immediate feedback in the sport of swimming despite the shown benefit. As technology decreases prices, these methods must be integrated more in swimming. Whether the feedback is through telemetry systems or visual cues, having immediate feedback will reduce errors. As technology, systems may provide automatic feedback based on performance. For example, MOOV has created a “smart watch” which provides instantaneous feedback during running. Full disclosure, I consult with MOOV, so I first hand understand the potential of this product. Imagine a device which you wear on your wrist and lets you know when your hand speed is slowing, force production is decreasing, or hand path is altering, then coaches you for improvement! This can improve biomechanics, reduce injuries, increase motivation, and other improve swimming! Athos, a smart clothing, is capable of measuring muscular activity when worn! If Athos, or another company, can create waterproof clothing, then huge advancements in muscular training and recovery are possible. Imagine knowing when a muscle is completely fatigued from the resting neuromuscular activity…pretty cool! If this product isn’t made waterproof, it still a beneficial product for dryland, knowing exactly which muscles are an activity during each exercise. Sleep and recovery have huge potential for swimming improvement. Currently, recovery and sleep and not individualized, although everyone is unique and individual recovery patterns are needed. There are products like BioForce HRV and other smartwatch technologies which track sleep and heart rate variability, a potential marker for monitoring recovery. One possibility for training and monitoring is blood analysis without skin penetration. As far as I know, this technology doesn’t exist. However, if someone can create a device which continuously monitors nutrient levels in the blood or via saliva, exact nutrient levels is possible. This can maximize energy, recovery, and performance! If these products are accurate, then the world of swimming and coaching will be transformed. For example, a swimmer is held responsible throughout the main set, not allowing them to “slack” or take an unnoticed break. For the coach, the device will monitor biomechanics more accurately and continuously than the coach. For injuries, knowing when the pain starts during a set and seeing the muscular activity or biomechanical deviation at this point in time will influence technique and reduce injuries. Also, knowing when and what to eat for maximal performance, as well as knowing how much sleep is needed for maximal performance has exciting potential! Once again, this will change the sport, so harnessing technology and analyzing data will become even more paramount for success. Make sure you are ready for the next phase of sports enhancement! Zatoń K, Szczepan S. The impact of immediate verbal feedback on the improvement of swimming technique. J Hum Kinet. 2014 Jul 8;41:143-54. doi: 10.2478/hukin-2014-0042. eCollection 2014 Jun 28. Unfortunately not yet in real-time, it takes about 30 seconds to have the data after the pool end is reached. Also coaching is still fully left to your human coach, but things will change eventually. On individual level it has already improved biomechanics, reduced injuries, increased motivation, and other improved swimming!